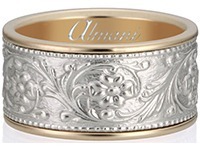 This unique Diamond Anniversary Wedding Ring is made of solid 18k gold in your choice of color - white, yellow or rose gold. 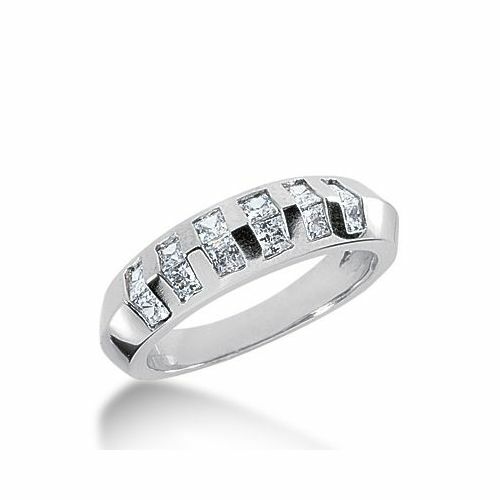 The Princess cut diamond shape is the second most popular cut shape for diamonds and accentuates a diamond's fire rather than its luster. 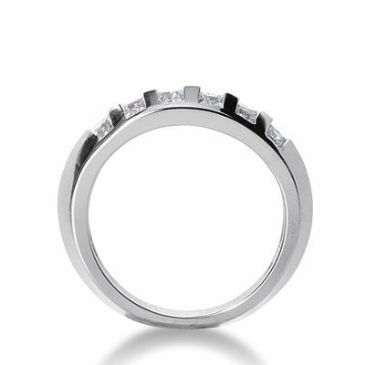 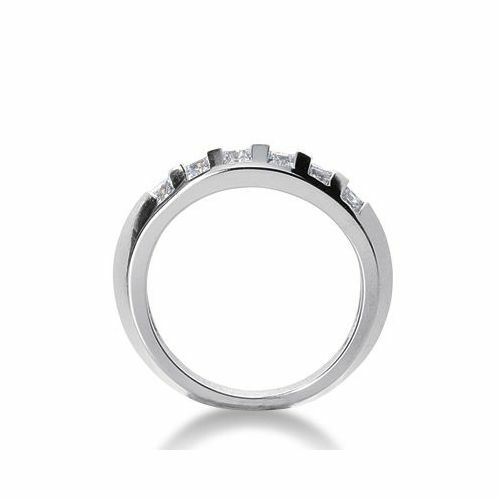 It is a great improvement over the previous step cut used for square and oblong diamonds. 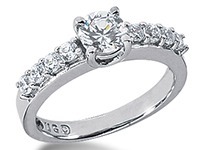 The top of the diamond is cut in a square shape and the overall shape is similar to that of a pyramid. 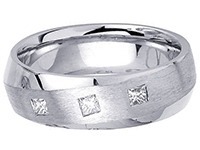 The princess cut is a relatively new diamond cut, having been created in the 1970s. 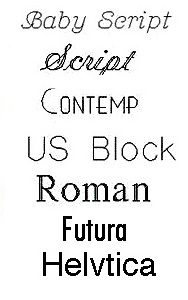 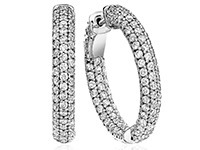 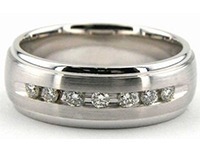 It has gained in popularity in recent years as a more unique alternative to the more popular round brilliant cut. 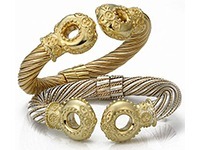 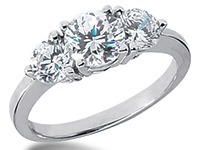 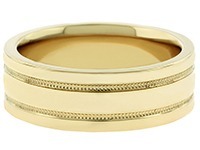 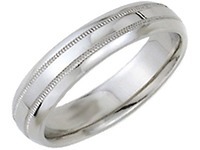 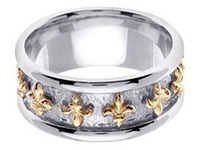 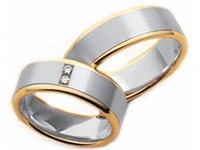 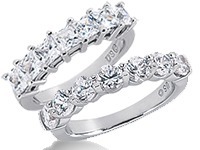 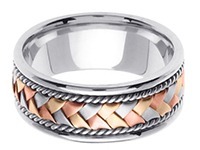 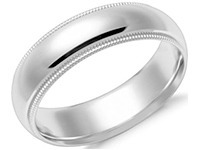 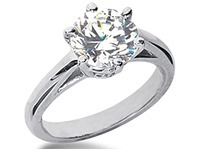 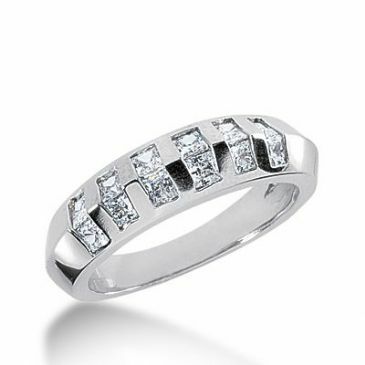 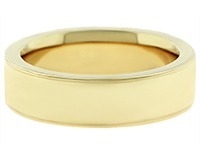 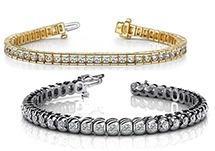 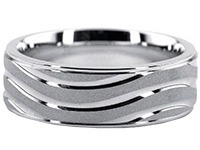 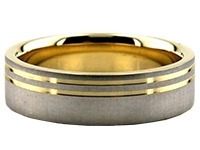 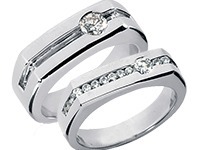 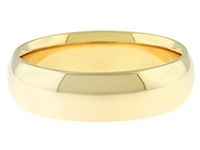 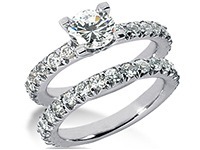 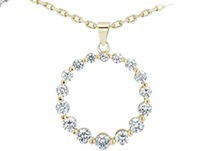 At WeddingBandsWholesale.com, you can be sure that your ring is 100% solid gold or platinum, handmade and finished by our expert design team. 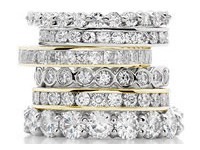 Our rings are not cut off of a tube, by a machine but come directly from the hands of our highly-skilled manufacturers to you the consumer, creating the absolute best value for your money.